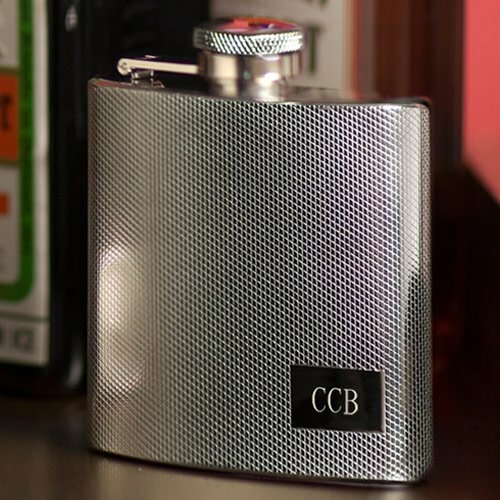 Your groomsmen will show their style and class when using the personalized textured stainless steel flask. Made to resemble textured flasks manufactured in the 20's and 30's, this stainless steel flask can hold up to 4 ounces of liquid. Measuring at 3.75"W x 3.75"H x 1"D, this flask can be personalized with 1 line of text up to 10 characters. More gift ideas: personalized cigar flask, engraved money clip/credit card holder or monogrammed cufflinks.